The holder of a pastoral lease from the Government of Western Australian is both entitled to, and required to graze livestock on native vegetation. The lease holder is often referred to as a pastoralist. The term grazier is usually reserved for those who graze their livestock on cultivated (usually freehold) agricultural land in the south west corner of the state. However, the terms pastoralist and grazier are often interchanged. In Western Australia pastoral leases are commonly called stations. Stations are located in what is known as the rangelands. 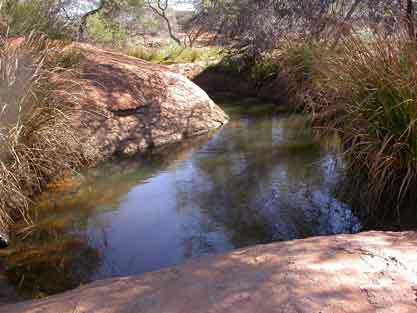 In the Kimberley and Pilbara regions these are mainly grasslands. 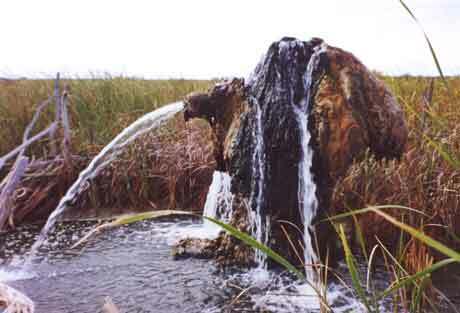 In the Gascoyne Murchison, the Goldfields and the Nullarbor the stock mainly feeds on shrubs. See "Pastoral Districts of Western Australia 1929" for an old map. There are over 500 pastoral leases across WA ranging in size from 30 to 5,000 square kilometres (1,930 square miles). For comparison, the Republic of Trinidad and Tobago covers 5,128 square kilometres and has a population of over one million people. Without a map of the lease it is difficult to establish the boundary of a station. The fence boundary can be different to the lease boundary. Sometimes pastoralists agree to swap the usage of a parcel of land along their boundaries with their neighbour to mutual benefit. One not so recent but useful publication that showed the rough location of WA station boundaries was The West Australian Travellers Atlas Edition 3 published in 1998 and reprinted in 2000. Look out for it in Op shops, fetes etc. The word station for a pastoral property has been in use in Australia since at least 1824. Hovel and Hume's entry for 13 October 1824 on their journey to Port Phillip NSW read, in part, "Arrive at Mr. Hume's station, about one in the afternoon...". This use of the word at the time the British first occupied New South Wales would have been somewhat unorthodox but it is now an accepted part of the language. In the early days a pastoralist would select a block of land for shepherding stock. He would set up his base there. If he was successful and his flocks or herds grew he would select more blocks nearby and engage a shepherd to look after each block. These additional blocks became known as outstations. The blocks were centred on permanent water. A small hut could be built for the shepherd. On the main block a homestead would gradually evolve for the pastoralist or his manager. An outcamp is a hut or small building used for accommodation while activities such as fencing or mustering are in progress. America had its cowboys. The Australian equivalent are known as a stockmen. True stockman were skilled in the art of horsemanship. They were used to hard riding and wielding the stock whip often spending weeks and sometimes months on the road under harsh conditions. Most of these skills have been lost today. As laws, government regulations and the industry became more sophisticated the pastoralists consolidated holdings into larger, contiguous leases. All WA pastoral leases expire in 2015 and their renewal has been negotiated with some reduction in land area for conservation, tourism, and recreational purposes and for the expansion of towns. For at least 40,000 years prior to settlement by Europeans, the rangelands had been successfully occupied by the aboriginal people. In many cases they were employed as workers (shepherds, trackers, drovers and house servants) on the stations. The way aborigines were treated varied from place to place, ranging through peaceful coexistence and mutual respect to the use of legal ruling and penalties, and at the extreme there were group massacres and poisonings. Wilson p152. Originally, sheep were the most common livestock utilised by pastoralists. However cattle numbers have increased, especially from the mid 1990's and in about 2004 cattle became dominate. Low wool prices, higher costs (both labour and infrastructure), less tolerance to predation by wild dogs and droughts contributed to the decline in sheep numbers. Cattle numbers have risen due to good prices and demand from new markets. Goats are increasing used by pastoralists as a source of income. The WA Land Administration Act (1997) limits authorised stock to sheep, cattle, horses, goats, as well as stock kept for domestic or household use. The mustering of stock is a significant annual event on most pastoral stations. The 2012 video The Outback @ Warrawagine Cattle Co. gives a 10 minute introduction to mustering. The provision of water for stock is vital. Reliance is placed on a variety of water sources including artesian bores, permanent water holes, windmills and dams. An expensive aspect of managing pastoral stations is fencing (the days of shepherding are long gone) and a number of innovative methods have evolved, with one the most recent ideas being virtual fencing. There is an excellent article on fencing in December/January 2009 issue of OutBack magazine. Baker, Sidney J (1966), The Australian Language Sun Books, Melbourne. Environment and Protection Authority (2007) State of the Environment Report: Western Australia 2007 Department of Environment and Conservation, Perth, WA. Glover, Ian (2008) "Fence Me In" in RM Williams OutBack magazine, pp 28-45 Dec/Jan 2009 issue, Milsons Point, NSW. Wilson, J (1979) "The Pilbara Aboriginal Social Movement: An Outline of its Background and Significance" in Berndt and Berndt (editors) Aborigines of the West: Their Past and Present UWAP Crawley WA.